Jiangsu Be Alloy Co.,Ltd is the leading manufacturer and supplier of stainless steel,duplex stainless and super nickle alloy materials with more than 25 years experience of supplying to a great variety of end users from different fields.Jiangsu Be Alloy Co.,Ltd,established in 1992, now covers a total landing area 320,000 square meters and nearly 300 employees. Jiangsu Be Alloy Co.,Ltd,who is famous for the material smelting and processing services in China stainless steel industry now have 3 plants locate in Jiangsu Province and Zhejiang Province, one domestic sales center in Jiangsu and one international sales office in Shanghai.Now the production plants of Jiangsu Be Alloy Co.,Ltd covers 4 production lines of smelting including 2 sets of 12 tons AOD refing furnace ,1 set of 15 tons VODC refing furnace imported from Germany and 1 set of 20 tons Vacuum smelting furnace;1 continuous casting steel billet machine;5 sets of cold rolling machines;3 sets of deoxygenated bright anneal furnace;1 set of 20 tons heat treatment furnaces;4 inch to 20 inch cold drawing machines,with well equiped processing platforms including shearing,cutting,surface finishing,forming,welding and maching,Jiangsu Be Alloy Co.,Ltd grow stronger and stronger. After China joining WTO, "Buliding a strong and powerful high tech industry center" has become the strategic goal of Jiangsu Be Alloy Co.,Ltd. Since the establishment of our International sales office in Shanghai, Jiangsu Be Alloy Co.,Ltd's professional international sales team has been working diligently to satisfy an increasing demand of global market. 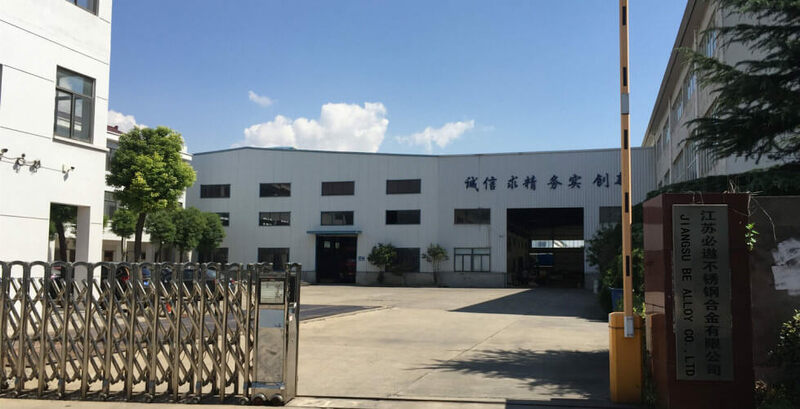 With close collaboration between our experienced production,processing and professional international sales team, We promise customers reliable quality, on time delivery, professional service before and after sales. We do the best to help customers save cost, enhance competitiveness, make profit. The reputation and expertise Jiangsu Be Alloy Co.,Ltd has acquired over the years has put it among the market leaders for the related products in the whole world !